My soil is too well-drained to give most Sanguisorbas the moist conditions that they prefer. This one, though, copes well with my dry soil, although it never reaches the two metres that it will in rich, damp soil. The flower stems branch in every direction, with a dark red, tightly-packed flower on the end of each of them. The plant is so floriferous that you get a cloud of red flowers through to the end of September. 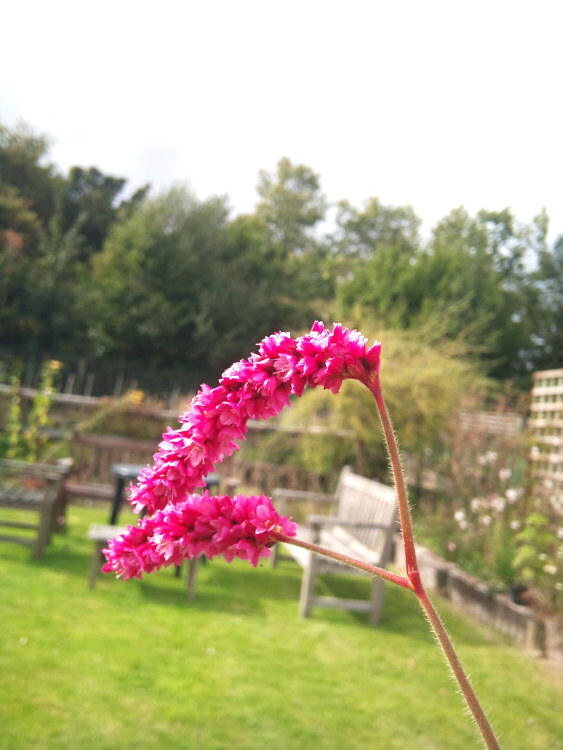 I am growing my plants with Panicum virgatum ‘Squaw’, which at the end of summer starts to turn the same deep red as the flowers of the Sanguisorba. The plant was selected by Piet Oudolf from a batch of seedlings from seeds collected in Korea.